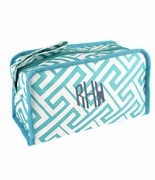 Cute stylish Scottish pattern houndstooth cosmetic bag. Purse or travel size. 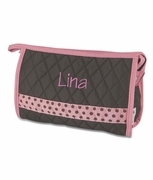 Quality constructed with quatrefoil red and black lining. 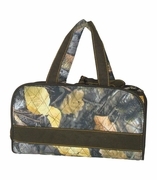 Lightweight canvas in black and natural color tone. 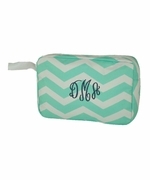 Name or three letter monogram included with purchase.